What Makes NHL Arenas Special? 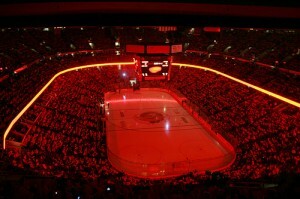 NHL arenas offer an environment and an atmosphere that cannot be found at any other major sporting event. A camaraderie and sense of brotherhood exists between fans of the same team that does not exist in other sports. At their core, all NHL arenas are essentially the same. They seat anywhere from 15,004 in Winnipeg to 21,273 in Montreal. They all have beer, food, and hockey. However, many subtle little differences exist between NHL arenas. There’s something different and special about every arena, whether it’s a regional food specialty they serve, a tradition of the in-game entertainment, displays in the concourse, or a famous fan. In an ongoing eight-part series, I will be examining the little things in each NHL arena that make them great, with each division being covered in two articles. I would like to thank the fans and posters on each Atlantic Division team’s board on Hockey’s Future for their insight that made this possible. 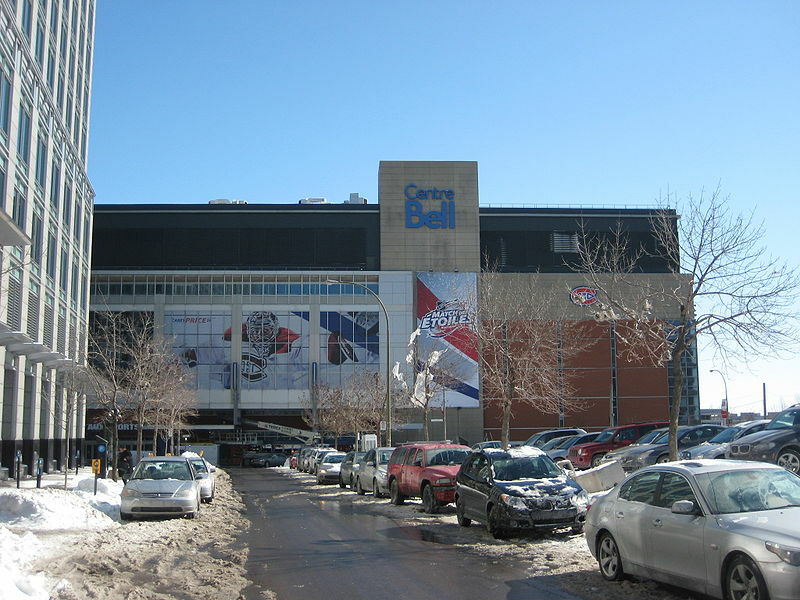 If a fan of any of the other 29 NHL teams were to experience an away game in one arena, it should be the Bell Centre. Simply put, the environment is something that cannot be found in any of the other NHL arenas. Habs fans are among the loudest in the league, and there is almost a mob mentality in the crowd. Fans get so caught up in the game that they boo any questionable play by the opponent, and loudly applaud anything positive done by the Canadiens. They do anything they can to make their presence known. Inside the Bell Centre, you can find an impressive array of artifacts that celebrate the most storied franchise in hockey. The Canadiens Hall of Fame is located in the arena, and is a 10,000 square foot shrine to Habs. Treasure troves of historic items can be found in the concourse as well. Before the game, the Bell Centre’s state of the art lighting equipment makes for one of the most impressive pregame pump up videos in the league. After the video, O Canada is performed in a fusion of French and English, a tribute to the Canadiens’ francophone heritage. Though it is sometimes mocked by the Habs’ opponent in a playoff series, the Ole chant remains one of the most famous and iconic in the NHL. The fever pitch atmosphere can be found in many of the surrounding bars near the arena like Crescent and Peel, where Habs fans love to hang out. When taking in a game at the Canadian Tire Centre, you will have no shortage of unique, quality food options. Smoke’s Poutine serves perhaps Canada’s most famous dish (although some prefer the poutine made in small mom-and-pop shops). Golden Palace Egg Rolls are a legend in Ottawa, and they are now available to get inside the arena. Finally, the Beer Nuts served inside the arena are top notch, and a great snack to munch on at the game. When inside the arena at a game, there are a few attractions that merit attention. The first is a display of jersey from local hockey teams that is located in the concourse. Next, make sure you are in your seat for Lyndon Slewidge’s rendition of “O Canada”. Slewidge, a retired Ontario Provincial Police Officer, has been singing the anthem since 1994. His deep, baritone voice makes for an impressive rendition of the anthem. If you have the chance, try to attend a Senators game when it’s playoff time. While the crowd can be somewhat average during the regular season, it is a completely different animal in the postseason. If you want to hang with Sens fans on game day, Sens Bar, a bar owned by and dedicated to the team, is currently under construction in the Byward Market section of the city. Local Heroes Bar & Grill is also a hotspot for Sens fans, and has Senators memorabilia covering the walls. 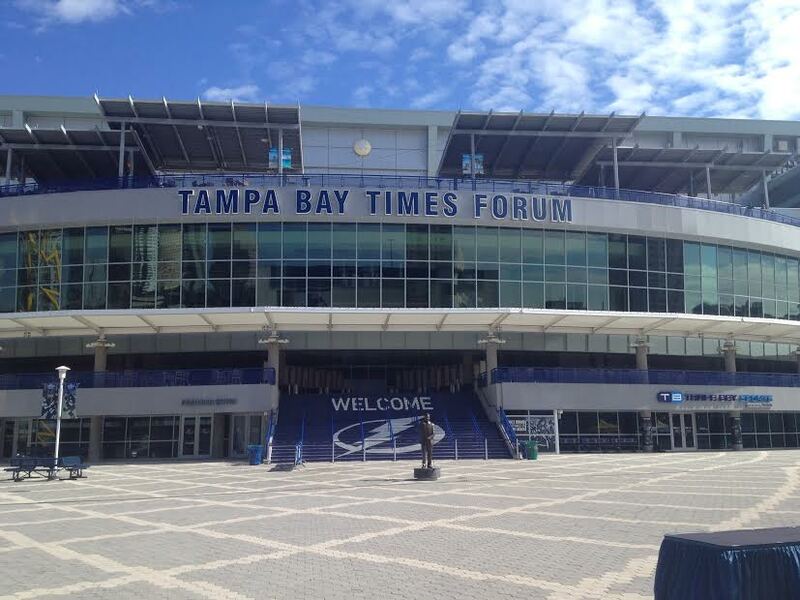 Although it was built in the mid 1990s, the Tampa Bay Times Forum is one of the most modern NHL arenas, thanks to a $35 million dollar renovation project undertaken by owner Jeff Vinik. The results have been tremendous. One of the most noticeable changes was the installation of Tesla Coils that hang from the ceiling, and send off bolts of lightning when the Lightning score a goal. Another big improvement was the jumbotron, which measures at 28×30 feet, and 28×50 feet, and is the largest in the NHL. If you’re looking for a place to go between periods, head to the Bud Light Party Deck on the Terrace level. It’s an 11,000 square foot outdoor deck/patio where fans gather always gather. Hat Tricks Bar is located within walking distance of the arena, and is filled with Lightning fans when there is a game. During the game, you will hear the cheers from the Sticks of Fire, a recently formed fan group for the Lightning that lead cheers, and make their presence known at the Tampa Bay Times Forum. 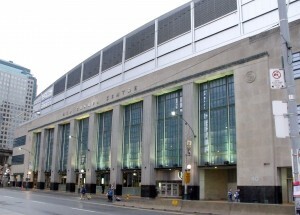 After 68 years in Maple Leaf Gardens, the Toronto Maple Leafs made the move to the Air Canada Centre in 1999. 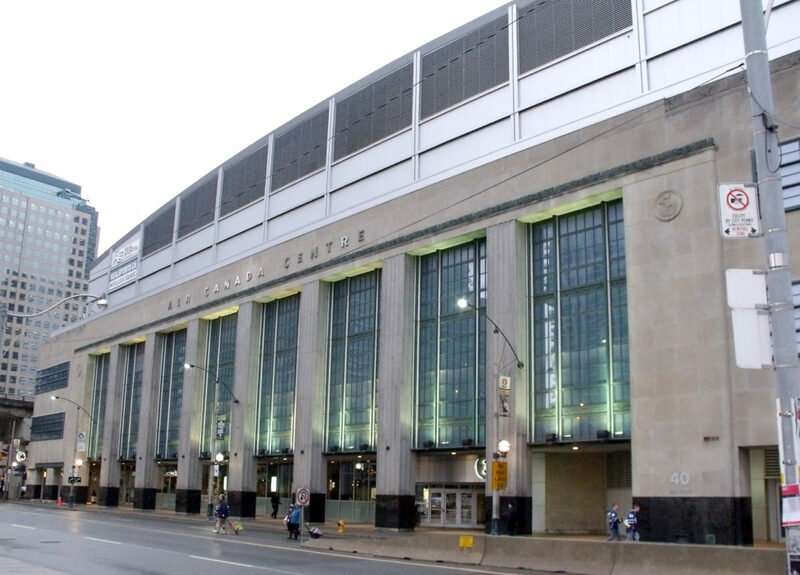 To this day, the Air Canada Centre remains one of the most modern arenas in the league, filled with amenities and incredible sightlines from every seat. In terms of atmosphere, Toronto fans in the lower bowl are sometimes criticized for being “suits” not entirely interested in the game. However, this notion is more of the exception, not the rule. There are many passionate, die-hard Leafs fans that occupy the lower bowl. In addition, the upper bowl consistently has a raucous atmosphere to it, filled with fans clad in blue and white. Maple Leaf Square, which is attached to the arena, is home to Real Sports Bar & Grill, a huge bar where many Leafs fans gather around game time. It includes a plaza that can hold up to 5,000 people, and has a 50×80 foot screen that shows many of the games going on inside the arena. In addition, Jack Astors is a nearby bar where Leafs fans like to congregate. The Hockey Hall of Fame is located within walking distance of the Air Canada Centre, and is a must-see attraction for any diehard hockey fan. A trip to the Hall of Fame during the day followed by a game at night would be quite the experience for a hockey fan.